Recorded at the Old Smithy, Worcester. 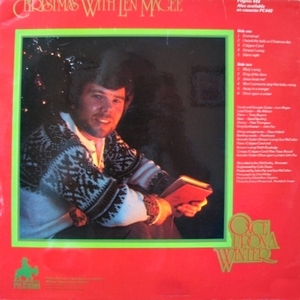 Eight original songs by Len plus three traditional Christmas songs. Vocals and acoustic guitar by Len, lead Guitar by Mo Witham, Piano by Tony Boyens, Bass by Spud Spurling, Drums by Pete Thompson and Korg Synthesiser by John Pac. String arrangements by Dave Anfield. Backing arrangements by ‘Parchment’.